How often is one blessed to interviewed their idol? As a fan, not too often. So you can only imagine how my heart felt when I received the invitation to participate in a roundtable interview with Matt Smith?! Not only is he The Doctor but he is super amazing! My heart could not contained the excitement. 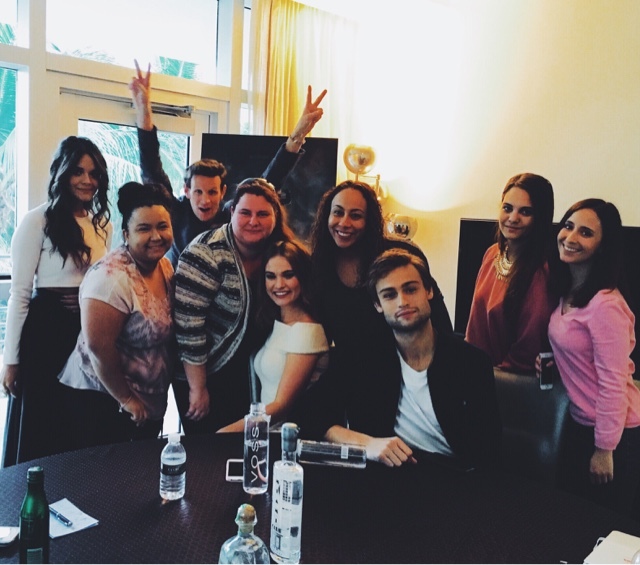 To top it off, with Lily James and Douglas Booth. Can you say, lucky? WHAT MADE YOU DO THIS ROLE? Douglas: When you're an actor you get scripts sent to you and the title came up. Some of us quite were confused. I actually heard of the book, since it was a NY Bestseller and some friends talked about it. And I saw it was written by, well the original draft, David O. Russell and he's pretty great. So I read it and it was brilliant and fun. So that's how I got hold. Eventually, down the line, we are actually really good friends, we all got attached and it was great making it. Lily: When I saw that title, I thought the title sounded ludicrous and i was very intrigued slash mortified. Then i read it and it is one of those rare times when you read a script that you actually really really want to do and be part of. I thought the script was just brilliant. 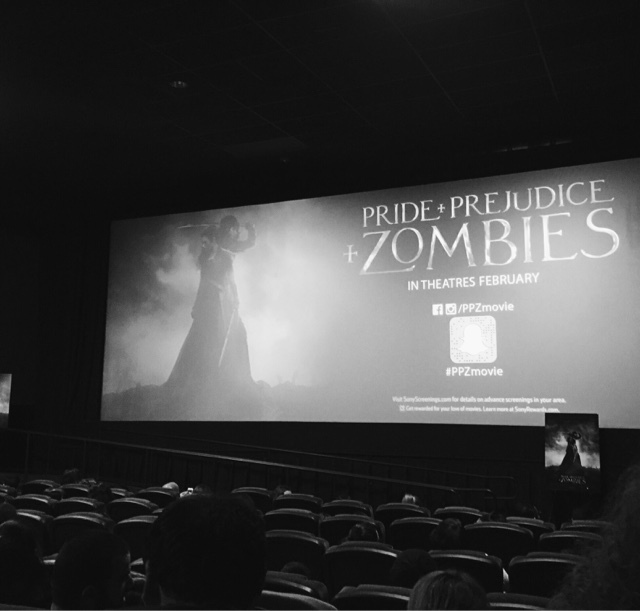 I think Pride and Prejudice always needed some zombies. I was so excited after I subscribed with the director and became attached. Matt: I just had all my friends doing it and it was a chance to do a movie with all my friends. Lily: I was like, Go on Matt, please do it. Matt: And here we are talking about it. HOW HARD OR EASY WAS THE TRAINING FOR THE FIGHT SCENES? Matt: Well, I didn't have to do any fight scenes. Lily: He didn't do anything! It was really hard but fun. I was very unfit. I haven't done any exercise in any way of shape and form for a long time. First, I would have to get strong. Then, I did boxing. The park where I lived in South London, I would be with my pad on, the gloves, and I did whipping. Like my trainer would bring a baseball bat and a huge bunching bag and I would be waking up the whole apartment block, like at 6 in the morning. I would be smashing this bunch bag. Then also, beyond that, for couple of months, the Bennet sisters would start training together and it was a deathly version of the Spice Girls. We became close and bonded. They are the coolest girls I've ever met. It was great to be part of this "girl gang" that we are focus on beating the crap out anyone that cross us. HOW DID YOU APPROACH THIS ROLE, DID YOU VIEW THEM AS THEIR PRIDE & PREJUDICE CHARACTERS FIRST & FOREMOST THEN INCORPORATE ALL THE ELEMENT AFTERWARDS? Douglas: I think it was important for Burr that we existed in that world as the characters and the zombies were circumstances than would affect them. It was fun to explore how these characters that you kind of knew and loved, are interpretation of how would react to these circumstances. And how the scenes from the original novel would actually then translate and change. Have you seen the film? Douglas: In the proposal scene, how that turned out. How all those things come out in a physically way. Lily: Yeah, I felt like my Bennet is very angry. You know that internal conflict within her and how dissatisfied she is with life and having to marry, being a woman. And suddenly everything is life and death and she gets to physically express herself in a way. In a sort of process where she can beat that frustration, and that really comes out in a physical way. Just because the stake is so much higher, Ms. Bennet is so focus in finding her daughters husbands, when in any minute, they can all be dead. I think that's when the human comes in and that's what's really cleaver about combining these worlds. Matt: It's weird. When you considered, I never really thought of it like that. When you considered it, you can sort of put them in any story. Do you know what I mean? Lily: Zombies and see what happens. Matt: Yeah. Something that would happen will happen to the nature of the drama. Imagine Jaws with Zombies. Lily: Sharks as zombies. It's too much! Matt: It's like, I can't go anywhere. I'm going to live on a tree. Matt: Yeah. The ones I know. 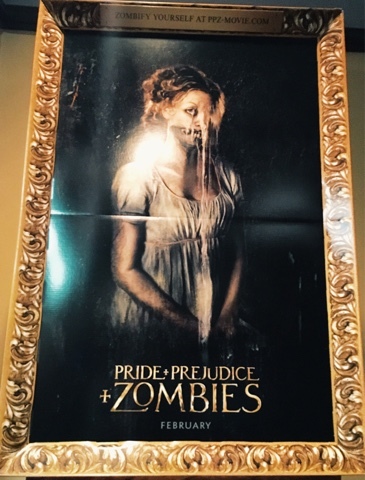 HOW WOULD YOU SELL THIS TO A JANE AUSTEN ENTHUSIASTS, LIKE SOMEONE WHO WOULD BE SPECTACLE ABOUT THE ZOMBIES? Lily: The story reminds completely true and I think the center of it is this love story. Like you were saying, WHY NOT? You know with Shakespeare criticizes it, well it's been criticized, but it is enjoyable to watch. I think it only brings out some part of the story and highlights one bit. Character traits, we know and love from Jane Austen are really sort of exaggerated and sort of heighten in this new setting. Douglas: I think, if you really love the story, if you really are an enthusiast of that story... You would've seen it on BBC version, here and there, how cool it is to see a different take on it. We respect the story, we love the story, there is no disrespect to Austen. We play it true and we do the characters justice. It's just a way to see it in a different light. It's like OMG, there were zombies in it. How cool would that be? Matt: I think it's a testament to this universality and timelessness of this story and the whole that it stands up to the zombie apocalypse. The love story, there is a timelessness to it. Which it's really strong in this. I think Same and Lily have a really strong chemistry and there's a real, you know... by the end you're still going please get together. Please get together and don't get kill. WHO IN THE CAST IS MORE LIKE THEIR CHARACTER IN THE FILM? Lily: [points at Matt] He's exactly like Parson. Absolutely no acting required. Douglas: I think you're a strong, independent female woman. Douglas: Sorry, I meant... yeah. Female. 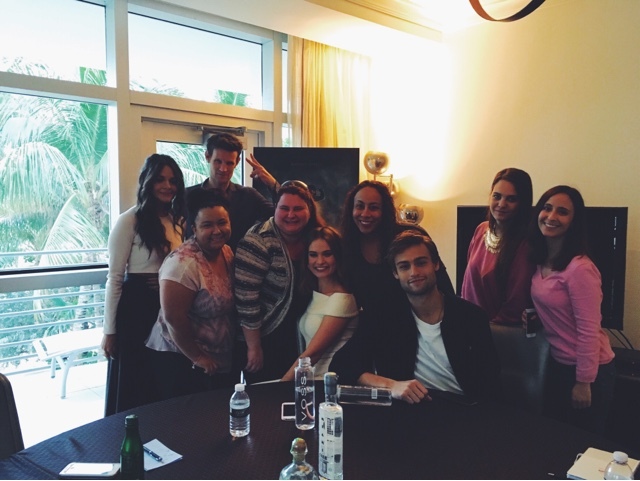 Matt: I wouldn't want to be in a room with Lily and a sword. Douglas: I think the cast if full of strong and independent woman. Lily: Doug is, in real life, is this horrible, mean man. Douglas: No, that's really a stretch. FOR YOU LILY, AS A ROLE MODEL FOR YOUNG GIRLS, GOING FROM CHARACTERS LIKE CINDERELLA TO A HEROINE IN THIS FILM. WHAT KIND OF MESSAGE DO YOU WANT TO GET OUT THERE TO YOUNG GIRLS IN MAKING SURE THEY BECOME STRONG, INDEPENDENT WOMEN AS THEY GET OLDER? Lily: Well, Cinderella and Bennet are so different but they are both equally strong. Their strength come from different places. That's important, you don't need to have a sword to be strong. There are so many ways to be in control of your destiny and contemplate who you really are. I have to say, with this Bennet, she is such a strong character anyways in Jane Austen. She was so forth thinking, brave and challenged the way things were done. With this is taking even further because she can fight. Being part of this gang of girls that are push aside and took down zombies by themselves was just so brilliant. That's how it should be. I hope, like when I mentioned that we were like Spice Girls, it's like GIRL POWER. I hope that's really the message of the movie. Lily: With an incredible director. Douglas: By a woman. She's really incredible. Woman can't be seeing working, so she had to directed from a van and walkie talkie. It was hard to make this movie but she was determined to make this movie and she's extremely talented and made this movie. She's the perfect woman to tell Mary's tale. Again, with the same theme: fierce, independent woman. It's exciting for it to be done now. About time. Lily: I'm doing a film called Baby Driver, which I do not wear a corset. I'm playing an American waitress. Matt: I don't know what I'm doing. Lily: But you're still doing something. Matt: I'm still doing something. I finish that next month. (this month). Then, I don't know. Douglas: Prince Philip, in the new big Netflix series, call The Crown, about the royal family. It's going to be a big show. Pride and Prejudice and Zombies is out today! Go watch it!